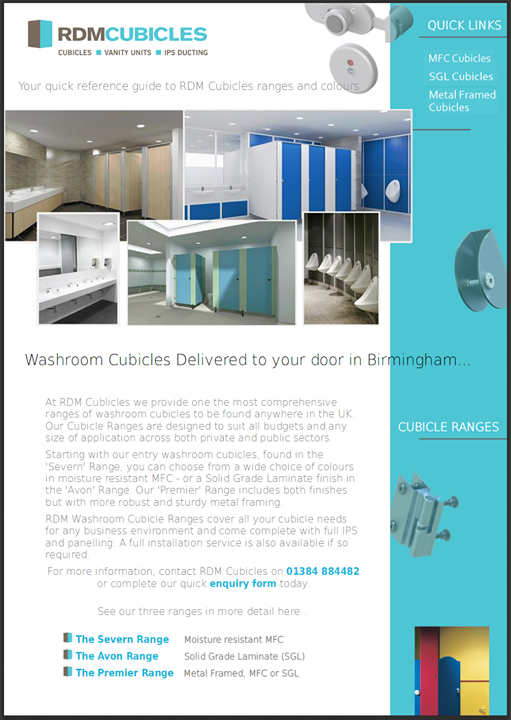 RDM Cubicles are your locally based National supplier of quality Toilet and Shower Cubicle Solutions. With our custom ranges of cubicles distributed centrally from our West Midlands based offices, deliveries to the North Gloucestershire and Cheltenham area can usually be made within the hour once on the road. Our Severn Range: (Moisture Resistant MFC cubicles). Our Avon Range: (Solid Grade Laminate & CGL Systems). Our Premier Range: (Metal Framed cubicle solutions in MFC or SGL). 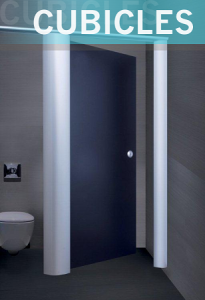 RDM’s Cubicle solutions arrive with a wide choice of colour options. Moreover, all of our hardware and materials are sourced only from well known or branded manufacturers. For further information simply fill out our quick contact form (left) or call us today on 01384 884482.